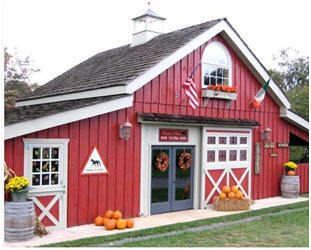 Are you thinking of building an unusual structure as your new hobby shop, garden barn, home office, studio or workshop? 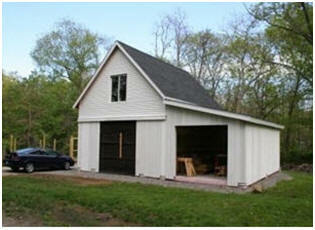 Architect Don Berg's small pole-barn blueprints are all designed to be easily modified to fit your needs. Scroll down this page to see a few of the beautiful little buildings that customers and their contractors created with the help of Don's plans. 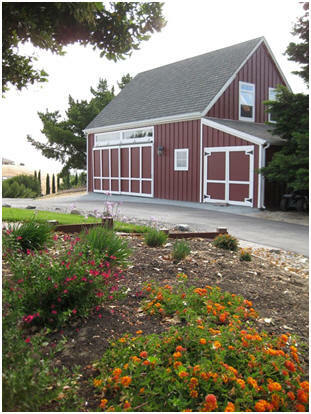 Walnut Woodshop - The woodworker who converted our Walnut Barn into this backyard workshop displayed his talent with beautiful custom wooden doors and decorative trim. Cold Spring Barn and Backyard Office This pretty little Wisconsin barn added a sheltering roof area and a finished loft to our standard plans. You can see the loft before and after it was converted into a home office. 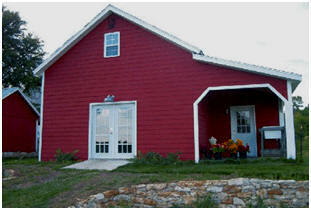 Applewood Barn - The builders of the Hunters' Run Wine Tasting Barn in Hamilton, Virginia did an amazing job, inside and out. Click here to see more photos. The Ashokan Barn was designed as a garage and workshop for a site in New York;s Catskill Mountains. But, a builder who purchased the plans used the basic structure to create this beautiful little gift shop. 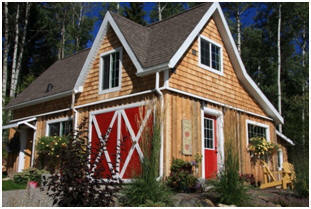 This workshop in Perkinsville, Vermont looks just like the standard two-car version of the Ashokan Barn. 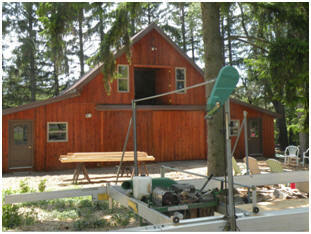 But the owner/builder made some pretty dramatic changes. He used the exterior design only and changed his building to conventional stud-frame construction on a monolithic slab. 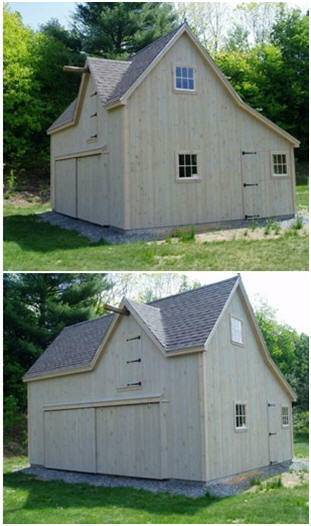 Maple Garage and Shop - Don Berg's standard Maple Pole-Barn plans come with a variety of add-ons for the sides. 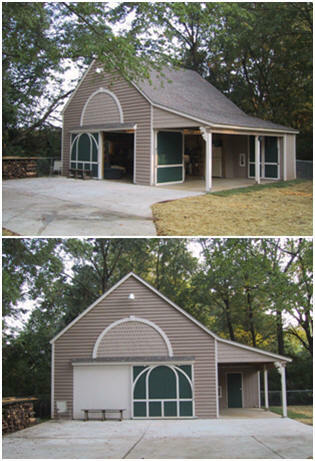 This owner chose a second garage and a workshop. Candlewood Garden Barn - This beautiful gardener's potting shed, built in Shepherdstown, West Virginia, is the stock Candlewood Mini-Barn with an added porch and a bunch of extra windows. 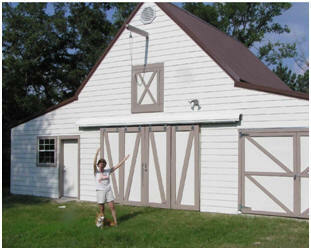 Chestnut Flower Barn Plans - Our three-stall horse barn was built as a retail flower shop on a market farm in Lawrence, Kansas. This building was featured in Mother Earth News Magazine. Walnut Workshop - This work shop at a lumber mill in Clarence, New York, was built with a wide loft door and beefed-up loft floor structure to handle lumber storage. 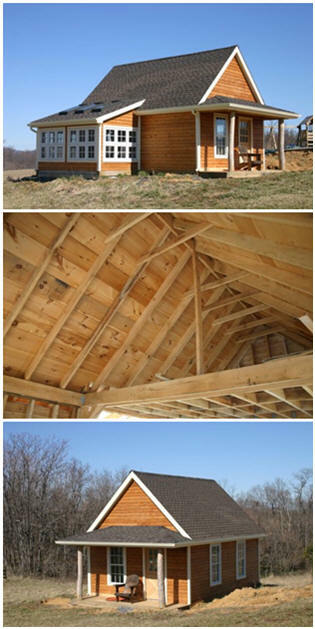 Maple Barn Plans - Patrick McCombe, an editor at Fine Homebuilding Magazine, built this workshop at his Connecticut home. You can follow his progress, step-by-step and see how he did it.